Save money on your favorite products and services with these exclusive discounts for FBLA-Middle Level members. Not a member? Join today to take advantage of these and more benefits! Drive Happy® with Alamo, where FBLA-PBL NLC delegates save on everyday low prices*. With self-serve check-in, you can skip the counter, check in at the kiosk, and drive away. All you need is a valid driver’s license and a major credit card. It’s that easy. Visit alamo.com/offer/FBLA or call Alamo at 800.462.5266 to make a reservation. Be sure to request Contract ID# 7000461 at the time of reservation. *Discount applies to base rate only at participating locations. Discount varies by rental date, location, and vehicle type. Taxes, other governmentally-authorized or imposed surcharges, license and concession recoupment fees, airport and airport facility fees, fuel, additional driver fee, one-way rental charge, and optional items (such as CDW up to US $30 per day) are extra. In the United States, check your insurance and/or credit card for rental vehicle coverage. Renter must meet standard age, driver, and credit requirements. 24-hour advance reservation required. May not be combined with other discounts. Availability is limited. Subject to change without notice. Blackout dates may apply. Void where prohibited. Alamo and Drive Happy are trademarks of Alamo Rent A Car. ©2010 Alamo Rent A Car. All rights reserved. When you shop at Amazon.com, FBLA-PBL receives a small donation. Happy shopping! Shop at Amazon, Support FBLA-PBL! Members are eligible for up to an 8% discount on GEICO car insurance. This discount is available in 47 states and the District of Columbia. By contacting GEICO for a quote and identifying yourself as a “Future Business Leaders of America-Phi Beta Lambda” member, you will also help support your association. FBLA-PBL receives revenue each time a member gets an auto insurance quote from GEICO. To find out how much you could save with GEICO, call 1-800-368-2734; mention that you are a “Future Business Leaders of America-Phi Beta Lambda” member. Be sure to have your current coverage information available in order to secure a comparable quote. You can also get a quote on-line. If you already have a GEICO policy, contact GEICO to discuss whether you qualify for the FBLA-PBL member discount. Members are eligible for up to an 8% discount on GEICO car insurance. HP Inc., the market-leading printing and personal systems company, empowers people to create, interact, and inspire like never before. Future Business Leaders of America-Phi Beta Lambda has teamed up with HP Inc. to offer members discounts on award-winning technology. With everyday savings up to 15% off, HP.com also offers weekly specials across all products. Sign up for benefits: use company code EP10687 to register. Reserve online or call 1.877.393.8034. Use Group code CR51684 to receive a 10% discount from Hyatt Hotels. Please click the image below to view the discounts. Office Depot and OfficeMax have become one company, and now offer discounts on a wide selection of over 96,000 items to FBLA-PBL members and their families! Discounts vary by item. Shop for office supplies and back to school products like ink, toner, and technology goods. Members may print a free in-store purchasing card to use at any Office Depot or OfficeMax store or shop online with convenient FREE next day shipping on purchases of $50 or more. Tallo is an online platform connecting the next generation of talent (age 13+) with colleges and companies across the country. FBLA-ML members can join FREE and create a digital profile showcasing their skills, talents, and accomplishments. 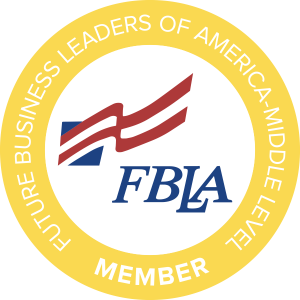 From there, they can share their profile, link up with mentors, and request the FBLA-ML Digital Badge to be recognized as an official FBLA-ML Member on Tallo. Join Tallo for free today. Save up to 20% off best available rates. Be sure to use Corporate ID 8000001640. Reserve online or call 877-670-7088. The discount is off of the Best Available Rate and may be less than 20%. “Best Available Rate” is defined as the best, non-qualified, unrestricted, publicly available rate on the brands sites for the date and accommodations requested. Discounted rates may vary by location and season. Offer MUST be redeemed by using the search engine above or call the phone number above and give the ID number above at the time of reservation. Offer not valid if hotel is called directly. Advanced reservations are required. Available at participating locations only and blackout dates may apply. Offer is void where prohibited by law and has no cash value.